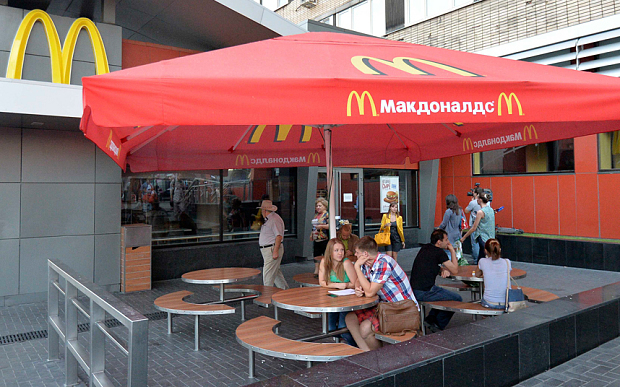 Recently, the Russian government closed several branches of McDonald’s in Moscow, allegedly on health grounds. I’m sure it’s all part of a larger political game. But that’s not the point. Seeing these pictures reminded me of the spring of 1995. A bunch of us had just spent 7 months or so in different parts of the former Soviet Union and were gathering in Moscow for a conference. McDonald’s was the place we all drifted to. Amazing how a place I don’t even like can feel so much like home! When for months, nothing feels normal, you lower the bar, I guess. I distincly remember also going to some pasta restaurant. None of us cared about the pasta. In the least. You see, aside from cabbage (a lot of that! ), carrots and apples, we hadn’t seen any fresh vegetables, let alone salad, for many. long. months. And this place had a salad bar. A SALAD BAR! We were like children on Christmas morning! So, this might be a current news story. For me, it opens a whole box full of memories! What an incredible example of endurance! The Frauenkirche in Dresden was completely destroyed during the bombing raids of February 1945 and then painstakingly restored from 1993 onwards, using as many of the original pieces as possible. Someone described it as the largest jigsaw puzzle ever! Today, it is a stunningly beautiful church and a major tourist attraction. Beautifully written, in many ways this book only paints the broad strokes, inviting you in to identify with the characters in different ways. 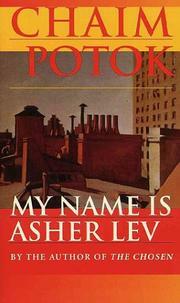 Asher Lev grows up in the strict Jewish family in Brooklyn in the 1940s/50s. Both sides of the family fled the Soviet Union, and in this new life in the US, find strength in their faith but also in the structure and in the sense of community of their particular group. There seems to also be a strong sense of guilt at not sharing in the suffering of those Jews still living (and being imprisoned and killed) under Stalin’s regime. This leads to Asher’s father being largely absent, as he travels first the US and then Europe, trying to help those fleeing and left behind. Asher himself is a very gifted artist, which is evident from a very young age. In fact, it seems more than a gift, it seems to be the only way he can express himself. This leads to a lot of tension with his parents, and in particular his father. Ariyeh Lev does not know how to relate to his son. Art to him is at best a waste of time, at worst something that pulls you away from everything that is good and worthwhile. Asher’s preoccupation with art, and the type of art he produces, is also not accepted or understood by his community and he becomes more and more isolated. The Rebbe seems to be the only one who understands what art means to Asher, and he tries to help him find ways to combine the two parts of his identity – that of an artist and that of a Ladover Jew. There are a number of different themes running through the book. The one that struck me most, particularly in the third part, is the loneliness the characters (and all of us, maybe) feel. While the dichotomy here is maybe stronger than in most families, the book brilliantly shows that ultimately it is impossible to truly understand another human being. There are times when all three of the main characters genuinely attempt to reach out to the other. There are glimpses of understanding, of empathy towards the other. But sadly real communication and understanding never happen. A beautifully written novel that will stay with me for a long time. In recent months, there has been a lot of talk in the UK media about “an unverified, anonymous letter that set out a strategy for a group of hard-line Muslims to install sympathetic staff and governors in Birmingham schools.” You can read more about the whole story here. I don’t want to go into the ins and outs of it all (I understand way too little about it to do that). What struck me was the picture above. Golden Hillock is one of the schools at the centre of the story. It is also a school I have been in many a time. 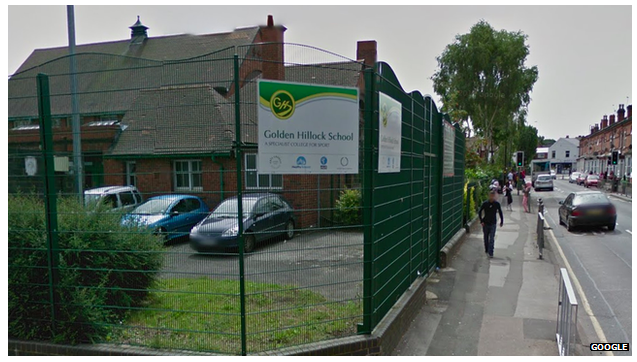 A number of years ago, I was helping with school assemblies in the area, and Golden Hillock was one of the schools we’d go into. Which means that when I look at the picture, I don’t think of the scandal, the questions, the arguments. I think of kids and their struggles. I think of teachers doing their best in a difficult situation. Because I have seen their faces. I have talked with them. I know this story involves real people. How often do I forget that? Day in day out, I hear so many news story. Stories about places I know nothing about. It is so easy to forget that behind it all, there are real people. Let this picture serve as a reminder of that. 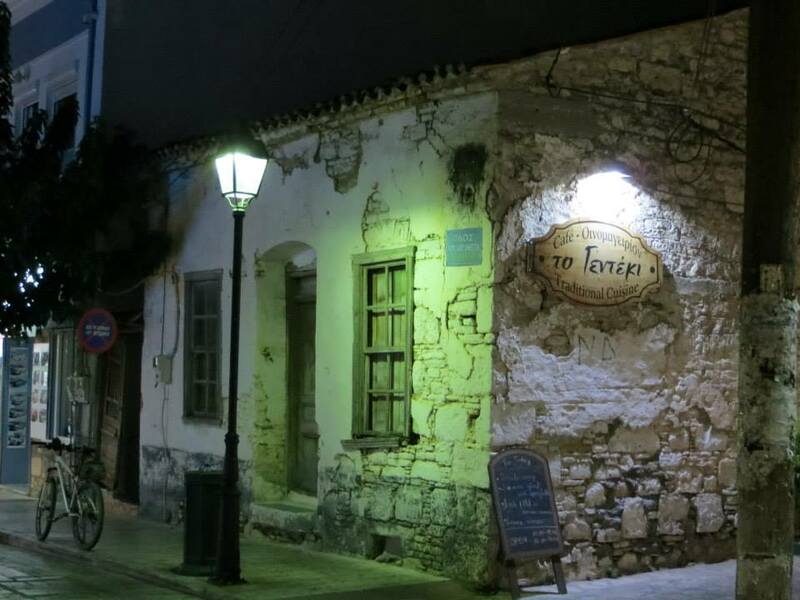 On a recent trip to Samos/Greece, I was struck by people just getting on with normal life while tourists (myself included!) were being – well, tourists – all around them. What a powerful and deeply moving film. It weaves an intricate tapestry of beauty (in the dance), friendship, fear, repression, courage, grief, joy. At times, it is hard to watch but never depressing. Somehow, even when the police brutality is at its worst, courage, friendship and hope shine brighter. To escape the constant warchfulness of the religious police, the group invite selected friends to a performance in the desert outside Tehran (hence the name of the movie), giving us what has to be one of the most beautiful dance scenes ever. One very powerful theme of this movie is the effect the repression by the regime has on individual lives, including this group of friends. From one day to the next, the ballet company in Tehran was disbanded and Elaheh’s mother lost what was most central to her life and identity. The effect of that plays out even in her daughter’s battle with drugs. For others, it is the struggle to stand up to pressure, to find the courage not to betray, knowing there would be a personal cost. You see the hope, with the upcoming elections, then turning to anger, when those appear to be rigged, before leading to despondency, the violence of the state winning out. Those harsh realities form the backdrop, and they are not romanticised, but they are not the whole picture. The individual courage, the strength they find in their friendships, the joy that comes from dancing – all those make this a beautiful movie to watch.